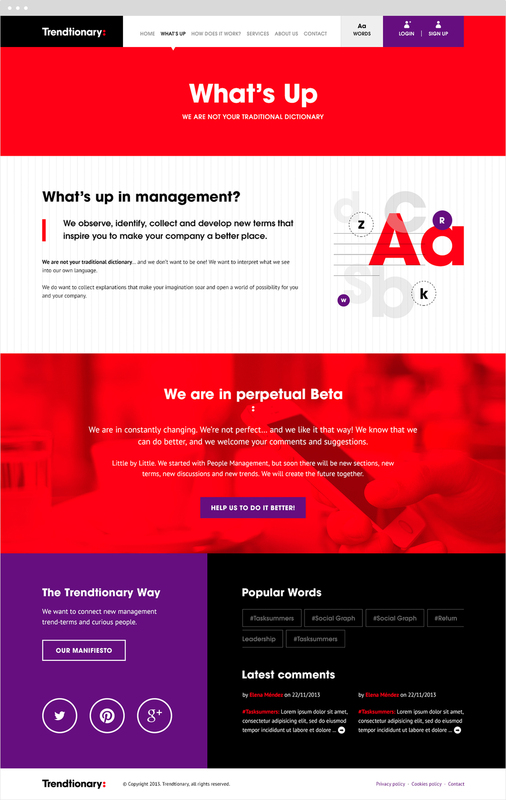 Fully Responsive Web Design for Trendtionary, powered by Enevolución. New concepts and new meanings. Translating how trends affect management & vice versa. 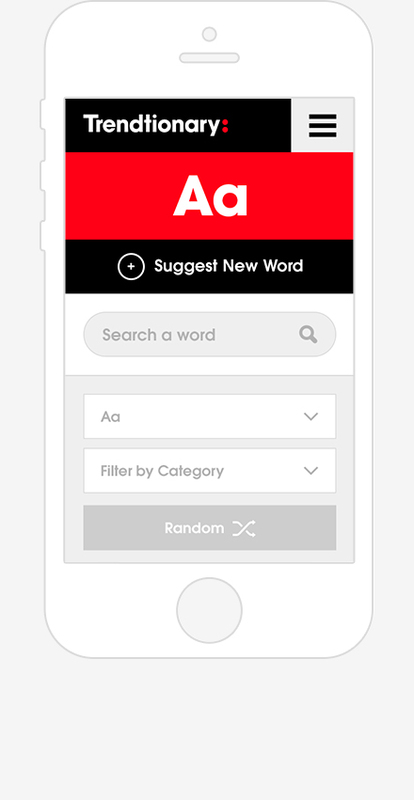 Trendtionary observe, identify, collect and develop new terms that inspire you to make your company a better place. This project is in perpetual Beta, it is in constantly changing to learn user needs.